Hot ringtones on Audiko.net! 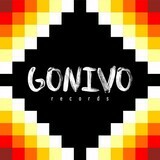 Simply download a free gonivorecords ringtones for your iPhone or mobile. Elect your favorite fragment from your favorite song - Linkin Park - Numb, Flo Rida & 99 Percent – Cake, Survivor - Eye Of The Tiger, or any other track. On Audiko you can download your ringer both in the MP3 and m4a formats, played by both mobile phones and iPhones. Just select a track, and choose free gonivorecords ringtones download option.